Style&Co - Mood Board - Any one for Ice-cream ?? I started out with the intention of creating a mood board on the New Neutrals – but, I must confess, then I spied this elegant sofa and rug at Nest . The colour pallet was just sooo beautiful. I suddenly got all over-excited and knew it just had to become a mood board. This is what I would encourage you to do when you are searching for inspiration – go with what excites you! It may be a sofa, a patterned rug and art work – or as simple as just a colour that you love. I was feeling the love for the 50s with this colour scheme and the delicious ice-cream parlour tones. 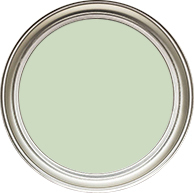 The minty green shade so popular at that time was often teamed with deep red and black and white check floors. 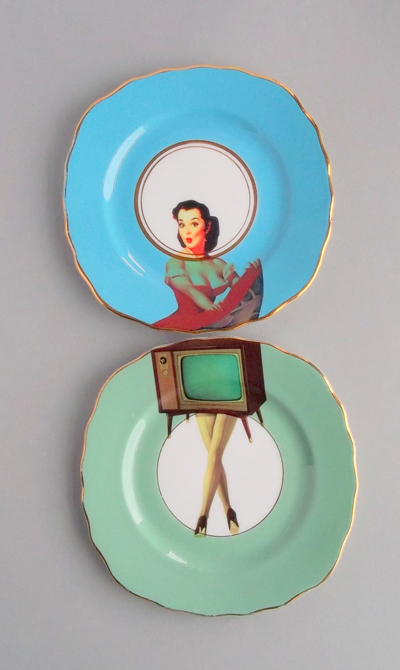 This look works in a Kitchen or dining room, but unless you are going all out for the American Diner look, it may look a bit too theatrical. 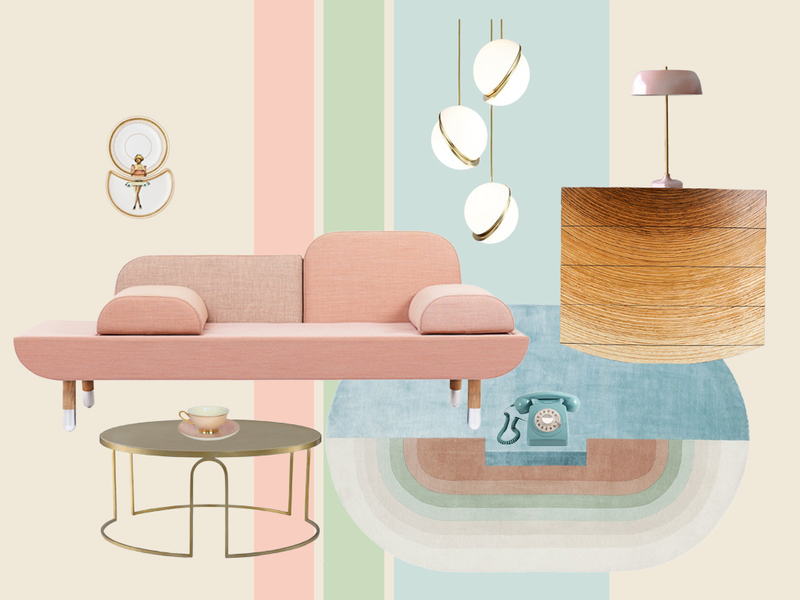 So my mood board stays with the pastel tones and mixes peachy pink, soft green with mint/turquoise and as it’s ice-cream, a scoop of Vanilla. 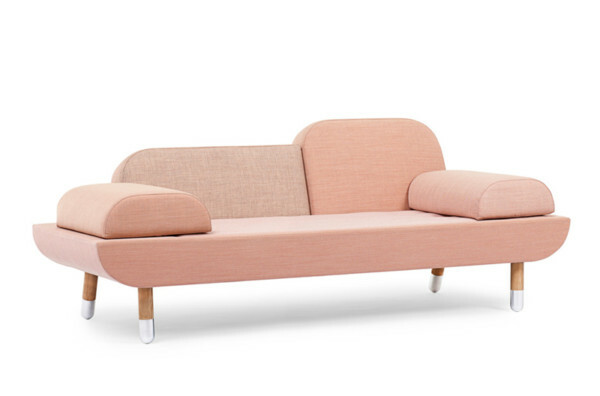 I love the style of this Sofa by Anne Boysen from Nest. It merges Sofa, Chaise longue and Armchair into one design, with inter-changable cushions. 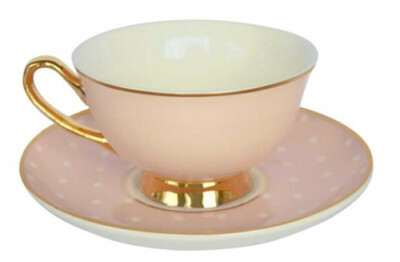 It also combines various shades of peachy pink in the upholstery. 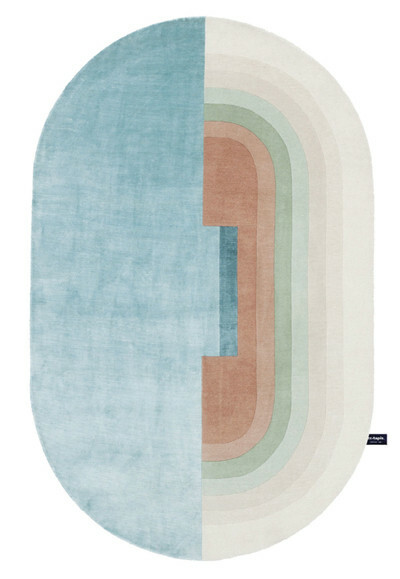 The Guidecca rug is from Designers Zanellato/Bortollo for cc-tapis and is also available at Nest. It’s quoted to be inspired by faded stone steps and azure blue waters of Venice and I can see what they mean. It’s made in Nepal from the finest quality Himalayan wool and silk and is soft-to-the touch. A vintage up-cycler that I have admired for a long while now is Alijoe Designs. All of this talented lady’s designs are ‘one-offs’. 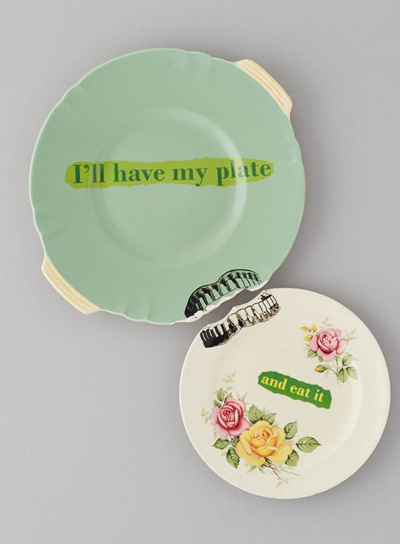 With vintage plates sourced from antique shops, charity shops, junk shops and boot sales. 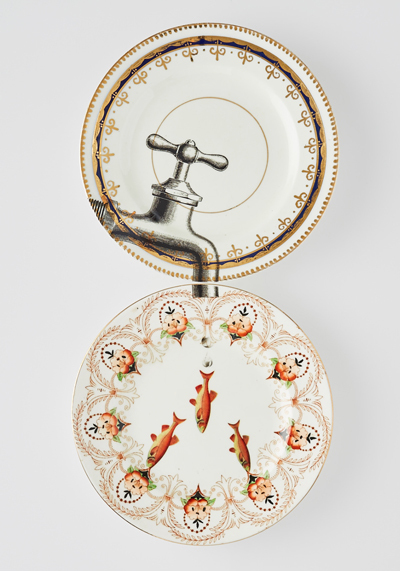 Every piece is unique, with decals applied to vintage china. 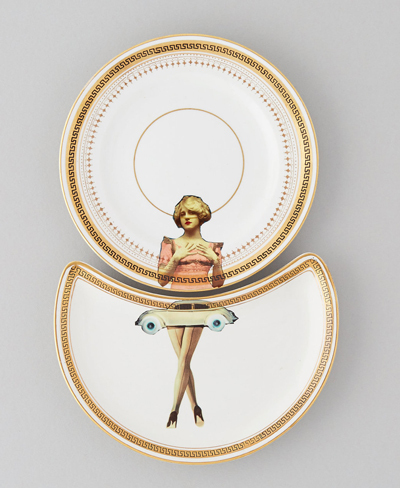 Her designs are quirky, kitsch and sometimes surreal and never fail to make me smile. 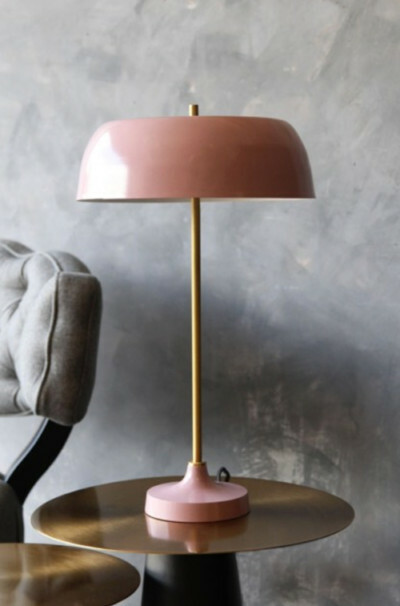 If you want to go for the full mid-century modern feel – there are plenty of vintage suppliers where you may find an up-cycled beauty. 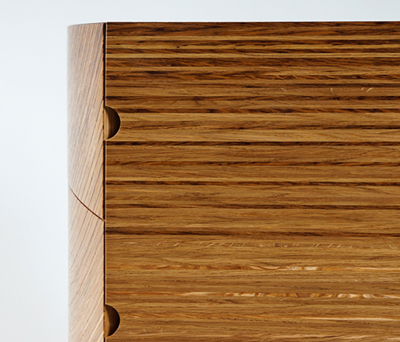 However, I was drawn to the beautiful colours of the wood in this chest of drawers by Edward Johnson. It has shades that tone well with the pastel pallet. Although, on reflection, I may perhaps have been bizarrely dreaming of ice-cream cones. 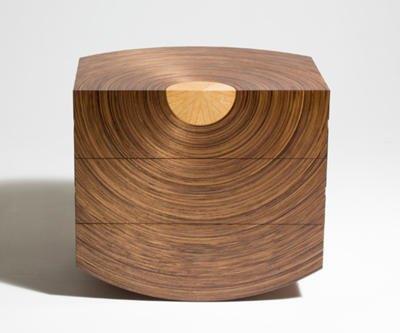 The striking colouring of this chest is created by using their own ‘Murano’ veneers. 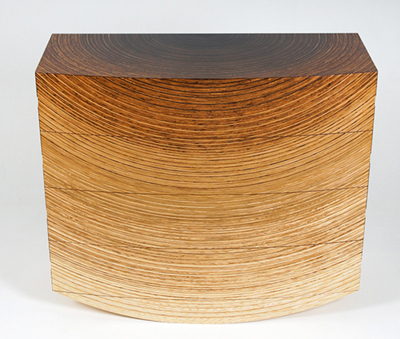 Hundreds of strips of oak, fumed oak, brown oak and ash are blended to create this radiating design. 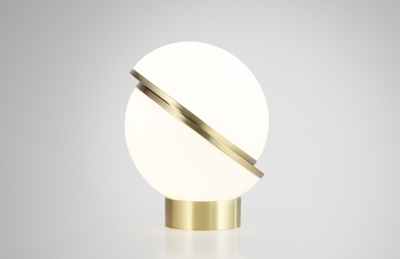 This stylish geometric lighting is by Lee Broom. I like the contrast of orbs being sliced in two by geometric flat spheres of gold. 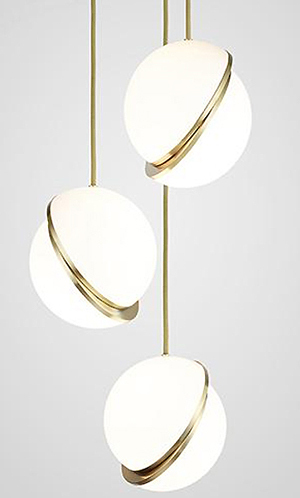 The pendant is the Mini Crescent Chandelierand and the range has various options. 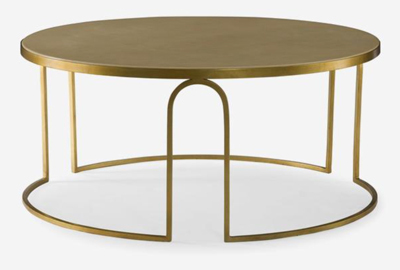 This Capisan coffee table was quite a find at Andrew Martin . Gold is great with this colour pallet and I like the way that it echoes the curves of the sofa in it’s design. Now the fun bit – accessories ! Then it’s all down to accessories. This is where you can have some fun. 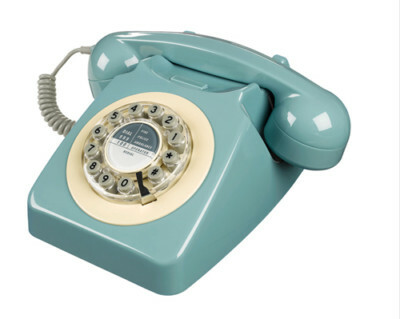 If you really fancy giving the room a vintage vibe – why not go for a retro corded phone. With so many around and some brilliant pastels colours to choose from – mint green or lemon? 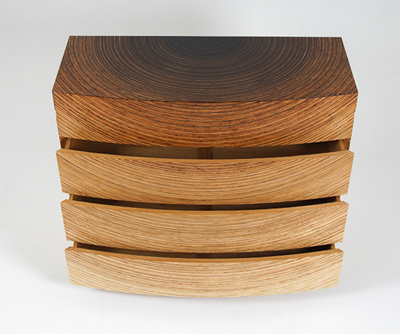 You can find a great collection at Amara. 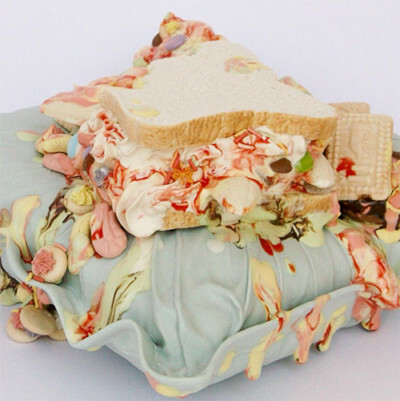 And while we are talking of all-things ice-cream, I just had to include the wonderful melting ice-cream ceramics of Anna Barlow. This is a woman obsessed by freezing time with these dripping, oozing, deliciously realistic creations. 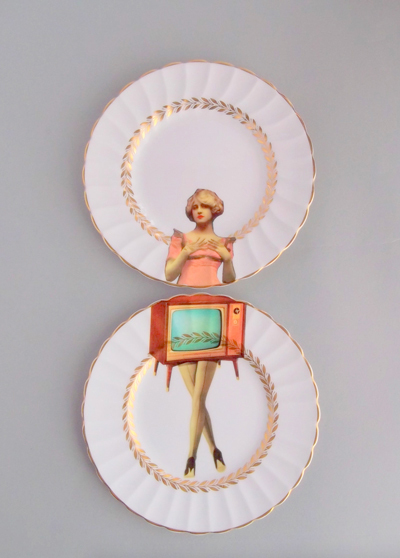 I had the chance to see her work at Collect this year and it really does look good enough to eat. So there you have my Summer Sorbet mood board. I hope you have been inspired. Why not check out the other styles on our Mood Boards collection. What a delicious mood board, Lin! I love the mid-century modern feel to it and the tasteful touch of gold. 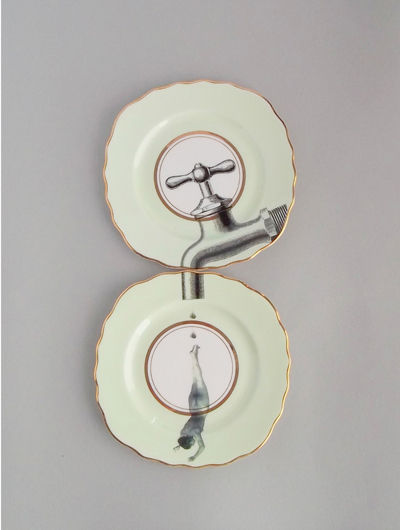 I can’t get over the melting ice cream ceramics, so apt for the mood board! 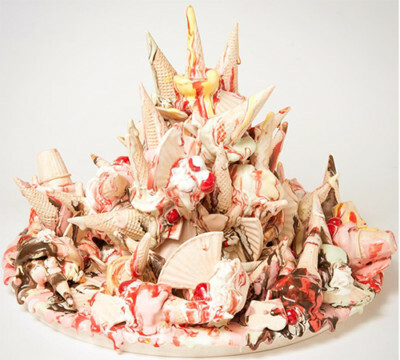 Thank you Juan – yes I took the photo of the ice-cream ceramics at Collect and they just had to be included. Welcome to the Style&Co Blog ! 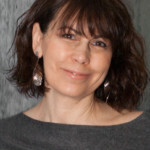 I’m Lin Warwick – a stylist with a passion for Art and Interiors. 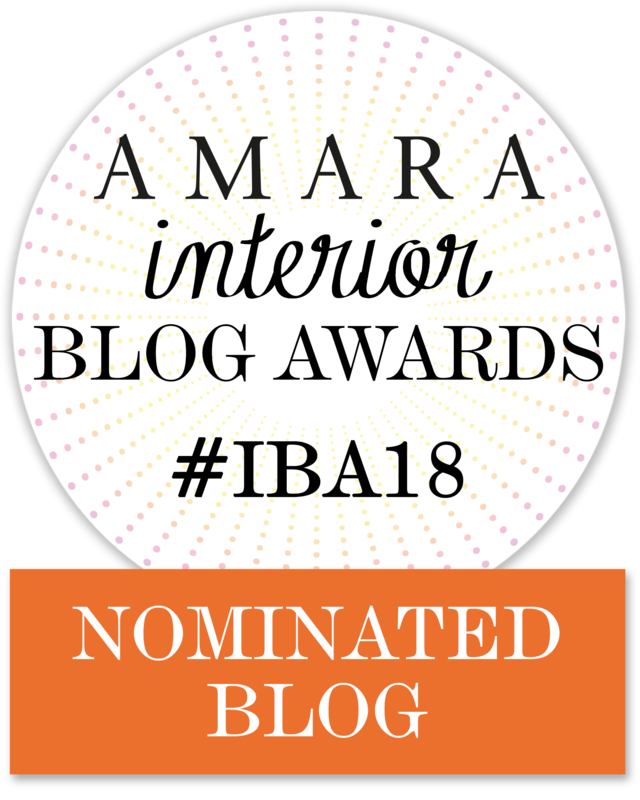 Hoping to inspire you – I blog about some of the amazing Craftsmen I have discovered. 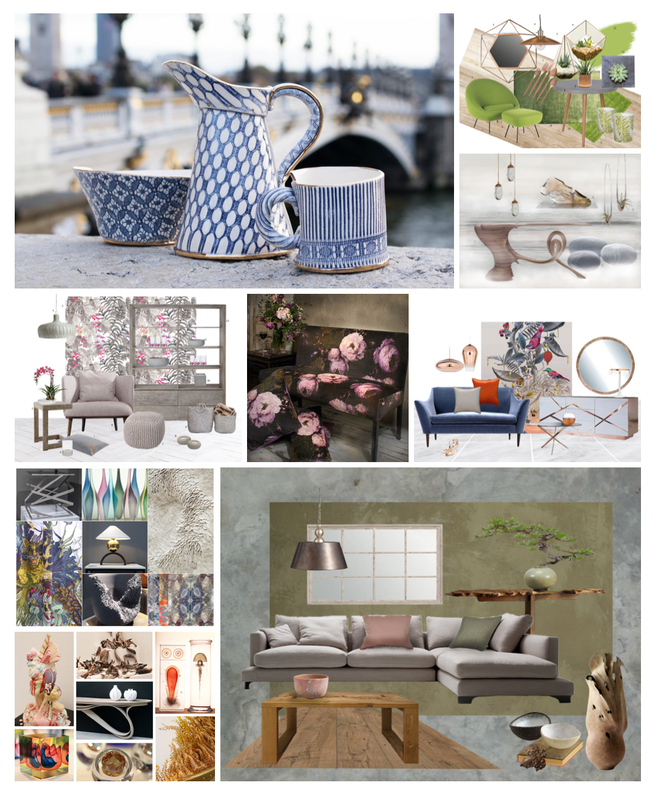 Showing you how to create style and mood boards with their unique designs. Sign up to our newsletter and don't miss a Blog!